Sergeant Stroud was accidentally killed at the Salt Lake City Police station. At 6:30 p.m., the 34-year-old victim and another officer were preparing for a department-sponsored children’s party. As the two officers were loading a vehicle at 100 South and State streets, Sergeant Stroud’s pistol fell from his waistband and struck the sidewalk. The weapon discharged and the victim was shot through the heart. He died immediately. Sergeant Stroud was married and the father of two sons. Two brothers were also members of the Salt Lake Police Department. He is buried in Salt Lake City Cemetery. 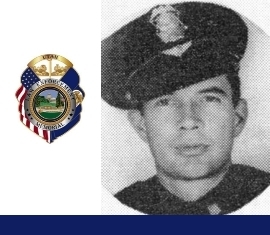 His bronze memorial plaque is sponsored by Salt Lake City Police Mutual Aid Association.